Aside from my Abercrombie #8 perfume, Gilmore Saturdays were perhaps the most defining aspect of my early teenage years. In 2004, I was 12 and had just transferred to a new school. My less-than-stellar adjustment to this foreign environment prompted my interest in the more naïve and enjoyable world of Stars Hollow. Every Saturday, three consecutive reruns of Gilmore Girls aired from 7 to 10 pm. My dad ordered pizza and watched with me. Like any good father, he was Team Dean. Eventually, as I came into my own, Gilmore Saturdays became a thing of the past, but my love and affection for the characters did not wane. I loyally collected every season of the show on DVD and faithfully watched every episode over and over again. To this day, after a frustrating week, I always return to the show as a sort of medicine. There have been a lot of different takes on the revival. I do not pretend to stand apart from the thousands of other fan girls (and guys) who waited with bated breath and took to Twitter immediately following those final four words. My sentiments are surely repetitive and have already been proclaimed through eloquent think pieces and less eloquent social media posts. During a time when the term ‘echo chamber’ takes on increasingly polarizing meaning, there is none more righteous or as passionate as that which Gilmore fans inhabit. However, as someone who is admittedly on the outside of so many television trends, there is something oddly satisfying about not only ‘getting the hype’ but also about understanding a show and its characters with nuance, knowing every episode by its long wordy title and have a very definitive opinion about which of Rory’s boyfriends is the best (Jess, obviously, but that’s another article). As the revival got closer, I did stop to consider why the show garnered such a cult-like following. After all, there was a worldwide “coffee takeover” this October during which coffee shops all over the country converted their stores into “Luke’s Diner” for the day. I myself waited in line for an hour and was almost late to work. Why? Why does our obsession with the show rival that of fans of Breaking Bad and Game of Thrones? The show centers around three female protagonists who share both a last name and sense of tenacious determination when it comes to achieving the lives they set out to cultivate. The generational differences among them can at times be stark and even sad. The acceptance Lorelei seeks from her parents, particularly her mother, is never quite fully realized. Lorelai’s departure at sixteen is her original sin and from that decision stems a fracture in relationship that can never be fully mended. The loyalty Emily so desperately needs from her daughter is often met with brashness and sarcasm. We see this trickle to Rory also. Despite the fact that Lorelai vows the have a different relationship with her daughter, she severs all ties when Rory decides to leave Yale. 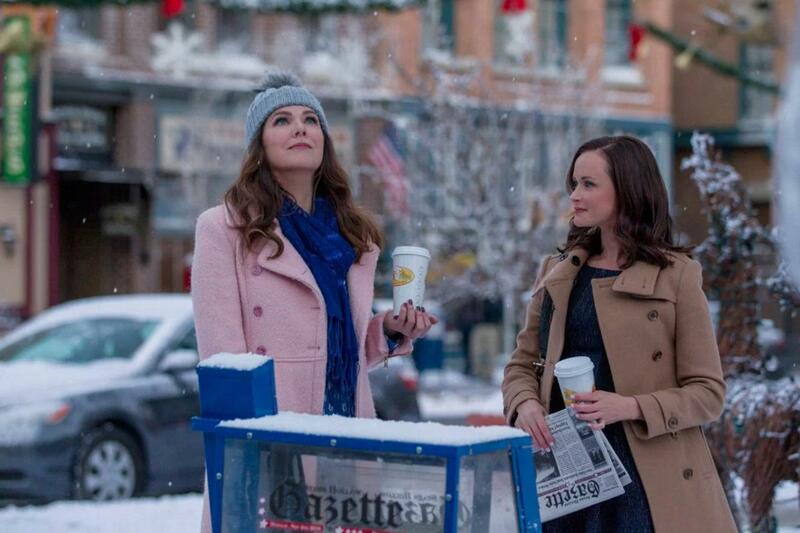 The complexity in these relationships is why Gilmore Girls gets so much attention. Amy and Dan Palladino, the show’s creators, take the complexity of human relationships and sprinkles it into an eccentric but otherwise ordinary New England town. Through a fairly standard chronicle of suburban life the show asks questions that we all ponder: What does it mean to be a family? What are our obligations to our community? Are our dreams and aspirations truly our own? Or are we living out fantasies created by others? More importantly, while I don’t consider myself necessarily similar to Rory Gilmore, at 12 years old I found solace in the idea that it was okay, even cool, to spend Saturday nights with your mom, to read voraciously, to have opinions about the world and a fervent desire do something with them some day. Growing up, I was able to forget about the school that I did not belong in or the friends who were not sincere. Like any good show, I learned from and found companionship in the characters. Which is why I found the revival so surprising. Not bad or disappointing per say, but surprising. In the wake of Edward Hermann’s death, the Palladinos were left with the insurmountable task of paying tribute to the life of a wonderful man, friend and character. 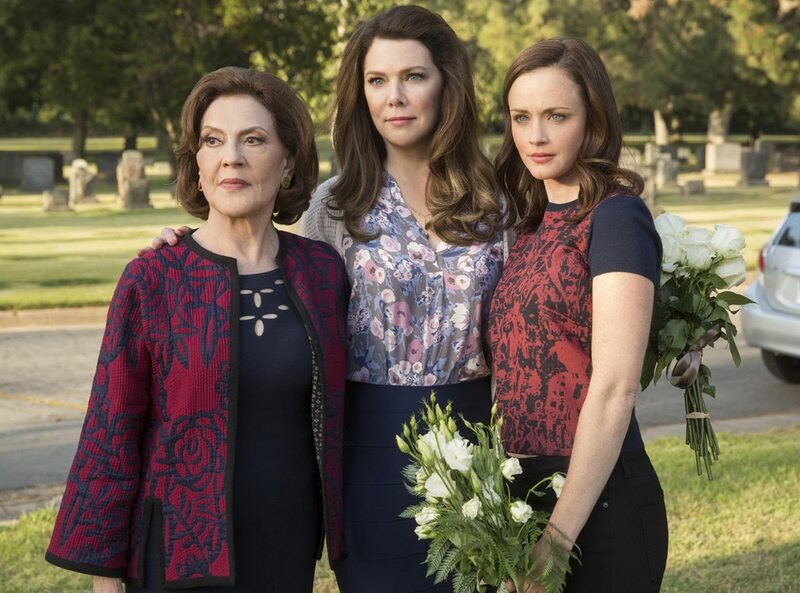 Through Richard Gilmore’s passing, the show is able to explore the ways in which death reveals deeper parts of Emily, Lorelai and Rory.Some ugly things surface: Lorelai is unable to find kind words about her father when asked to reflect on his life. Rory does not seem to react much at all. Despite this sudden change for the Gilmore family, a constant allusion to the circle of life, of the interconnectedness of all things is made time and again. The audience is supposed to be left with the realization that certain things will never change for the titular Gilmores: Lorelai and Emily are still fighting in the kitchen, Luke is still railing against tater tot tacos, the autumn festival in town goes on without a hitch. Lorelai goes as far to say “full freakin’ circle” more than once, nearly handing the audience the pièce de résistance of the entire show. Given the final four words, it seems like the Palladinos are trying to show us that history repeats itself, and that life, relationships and people do not actually change all that much. While they may be right about that fact, I did not find it particularly edifying. I found myself supremely disappointed in a character who once helped me to grow up. The Rory Gilmore who affirmed my love of history and learning, who demonstrated mature thoughtfulness and comedic loyalty (remember when she tried to have the world’s largest pizza made for Lorelai’s birthday? ), seems like a shell of the girl she once was. It is frustrating because we have already seen so many shows about characters like this. I expected more from Gilmore Girls. Lorelai does very little to challenge her daughter. In fact, the mother from the end of “Raincoats and Recipes” is entirely different from the one who placates Rory post-Wookie. Perhaps it was brilliant to structure Rory’s character arc like this. She was, after all, afforded tremendous privilege throughout her life. Maybe it is realistic to assume such privilege could bleed into entitlement. After all, how many Rorys did we know in high school whose face hit the pavement once leaving the nest? (Editor’s Note: Happens to the best of us.) How many of us see a bit of ourselves in Rory? Further, how many of us look up to the Emilys in our lives? I always found Emily to be somewhat brash and at times judgmental, but I found myself admiring and relating to her this time around. As a wife, as a mother and on every committee and club of which she was a member, Emily took her roles seriously and sought perfection. While at times this could be her greatest flaw, there was something refreshing about seeing it manifest as she sat in therapy, as she purged her closet and as she became the new curator at the whaling exhibit. I see her quick wit, strong backbone and unyielding grit embodied in many of the women I look up to now. In fact, the only condition Emily ever had for lending Lorelai money was quality time and emotional commitment. Perhaps, if there is a lesson here, it might be that we can stand to learn something from the women that came before us. This sounds like an obvious revelation, but it is one that I do not think Lorelai and Rory learn even by the end of the series. Lorelai gets married without her mother present, and takes off to the Pacific Coast Trail before she can even admit her fault in the post-funeral fiasco. As a character, Rory has more freedom and accessibility than ever before. Many millennials can relate to the opportunity that Rory has. We quite literally are bound by very little. Rory is able to leave Connecticut and live in places that her mother and grandmother never could due to time, money, social constraints, or societal expectations. Not once throughout the four episodes do I see Rory harness this ability for purposes other than own her own motives and desires. While I do not imagine my life in 40 years looking like Emily Gilmore’s, I do hope that my comitment to my family and my notions of sacrifice rivals her’s and Lorelai’s. As I finished watching the the seven-hour event, I was reminded of why I was drawn to the show originally. The emotional depth and insightful paired with unique and fast paced conversation was certainly a draw. More significantly, I was challenged by characters who had qualities that I myself had yet to possess. In this sense, the revival stayed true to memory. I saw vulnerability, reflection, and courage in Emily Gilmore, qualities I hope to cultivate more fully. Overall, I can only be grateful that the revival and the show itself happened in the first place. Going forward let us hope that another show dispenses the wisdom and grace that this one did, that young and awkward teenagers can know the joy of homebody Saturday nights and of pizza with a parent. And further, let us all hope for mothers and grandmothers who give us indispensable advice both through their words and through their lives.